Hillforts, Hartland’s heritage and Second World War sites across North Devon will benefit from a new Coastal Heritage project. The North Devon Coast AONB Partnership is delighted to announce their success in obtaining £49,900 grant from the Heritage Lottery Fund towards this two year £91,000 project. The project will explore and reveal the heritage features and stories in the landscape from farming, warfare, defence and trade along this remote rural coast. Heritage at risk will be addressed through practical conservation work, surveys to record its condition and new interpretation and celebrations. 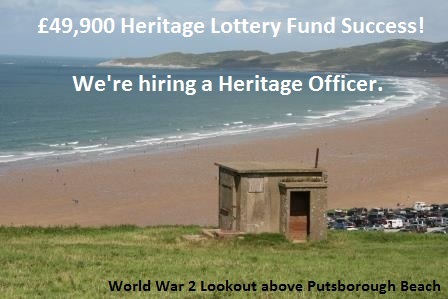 A full time Heritage Officer will develop conservation volunteering, training, events and practical archaeology for local communities, volunteers and schools to better understand and enjoy the history that matters to them. The project will be delivered and funded by local partners working with the AONB team including Devon County Council’s Heritage Team, the National Trust, North Devon Archaeological Society, North Devon Council’s Museum Development Officer, Torridge District Council and Hartland Parish Council. Job Description and Application Form at: http://www.northdevonplus.co.uk/job-vacancies.html (N.B. Applications will only be accepted on this application form). For an informal discussion on the position, please contact Jenny Carey-Wood, AONB Manager at jenny.carey-wood@devon.gov.uk or telephone 01271 388758.